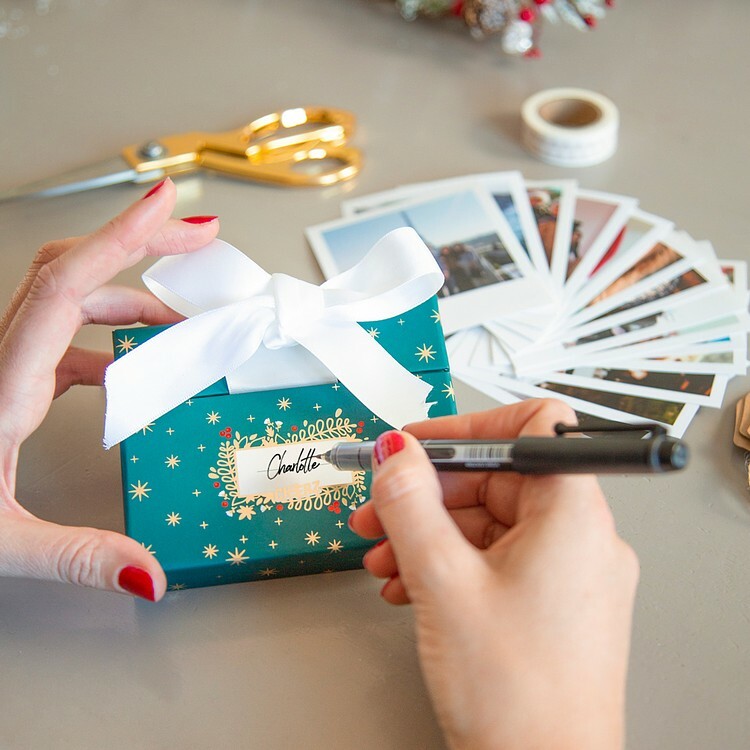 In a few simple clicks, create the prettiest of of presents - a box filled to the brim with smiles! 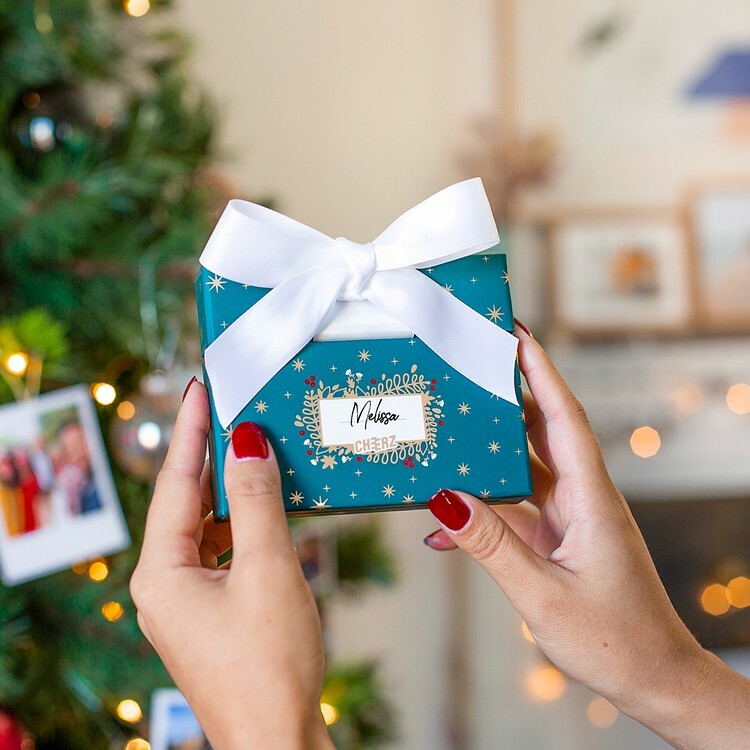 ✨ This collectibla box is so pretty you can put it straight under the tree, no packaging needed! An original gift that will definitely pop under the Christmas tree. 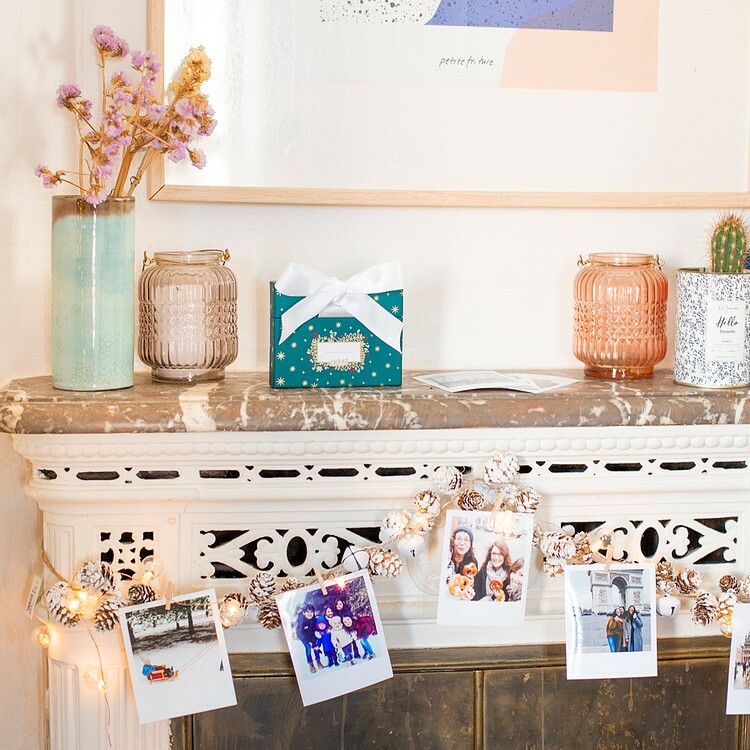 So easy to create - simply choose 30-47 of your favourite photos. At Cheerz, we believe that memories are magical - they are unique and beautiful, and sharing them with your loved ones is marvellous. Then, what could be a more enchanting gift for the most magical of holidays than a box with top quality prints to reminisce over together? 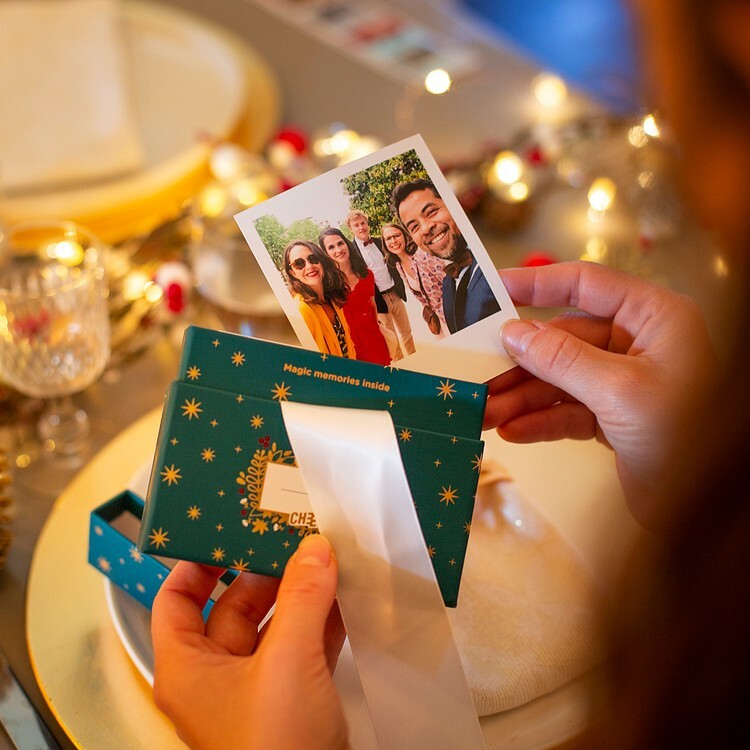 The Christmas edition Cheerz box makes the most spellbinding gift - it is pretty packaging, special memories printed on top quality photo paper, and a personal touch all rolled into one. 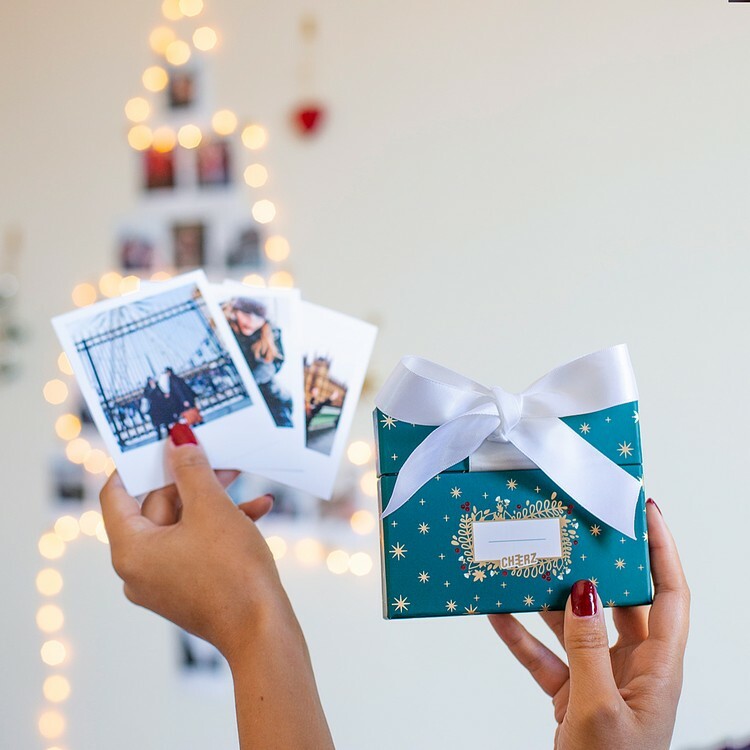 Just choose your favourite photos and easily personalise them with captions and colors, and the Cheerz box will appear at your door within a few days - this limited edition box has shimmering detailing and a shiny, white bow - pretty enough to go straight under the Christmas tree.